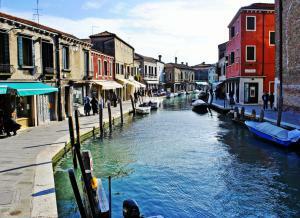 If you are looking for things to do in Venice and Veneto we suggest that you visit the Venice islands. The current Venice occupies an area of just over 7 square kilometers, distributed over 118 islands, including San Giorgio and the Giudecca, joined by 418 bridges and divided by 160 channels. The city is divided into districts: Cannaregio, San Marco and Castello on the left bank of the Grand Canal, Santa Croce, San Polo and Dorsoduro on the right bank. The largest part of the lagoon is occupied by cities: Murano, Burano, Torcello, Pellestrina, San Pietro in Volta, Alberoni, Malamocco and Lido. The other cities, such as Malcontenta, Tessera and Dese are gathered on the edge of the lagoon, near the hinterland. The Lido, was already famous in the nineteenth century for the therapeutic properties of the marine climate and its baths. It is now Venice’s main seaside resort. On the islands of the lagoon, especially in Burano and Malamocco, fishing is still part of the local economy and the most widespread traditional activity for most of the inhabitants. The islands of Venice are waiting for you to explore and discover them! Boat tours will take you every day to discover the most famous as well as the less known islands, to make your holiday in Venice unique. Like the other islands of the lagoon, Murano provided a refuge for the inhabitants of the Venice mainland escaping from the barbaric invasion. 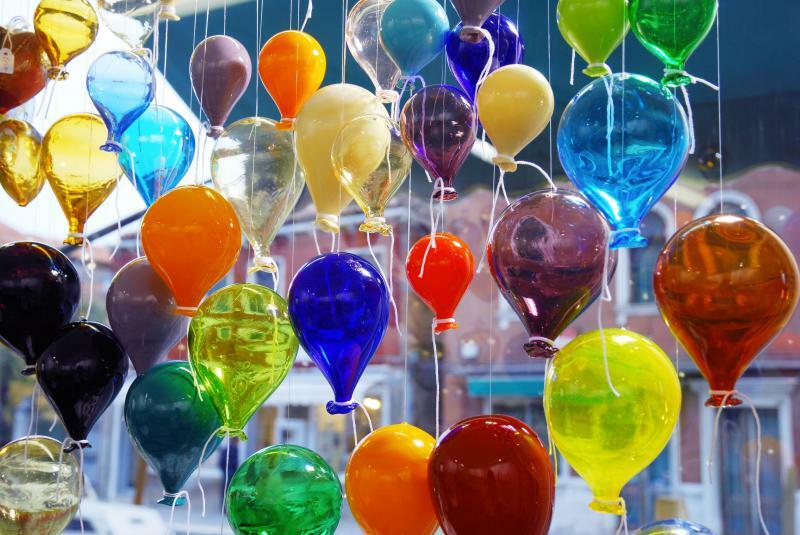 A Ducal decree in 1291 guaranteed Murano the privilege of manufactoring of glass, and since then it has developed into the specialized industry that made it world famous today. 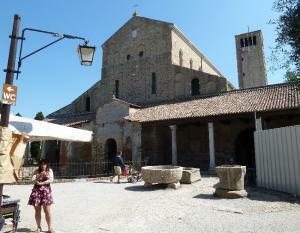 In addition to the furnaces and Glass Museum, you must visit the Basilica of SS. Maria and Donato (7th-12th century), one of the most beautiful Venetian/Byzantine buildings in the lagoon. 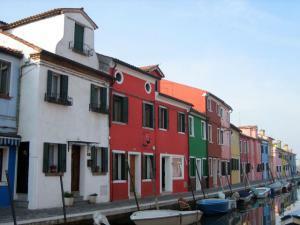 Burano is a small picturesque island inhabited mainly by fishermen. It is renowed for its tiny, vividly-coloured houses, and owes its fame to its lace made by the women of the island. After centuries of decline this industry has re-emerged and Burano's lace is now famous all over the world. The shops sell handcrafted items. There is a permanent exhibition about lace in the local museum. The Roman population from the Venetian mainland took refuge here between the 5th an 7th centuries A.D.. The magnificent 11th century church of Saint Fosca, and the Cathedral founded in 638 A.D. are remnants of that past. Inside the cathedral you will find some important mosaics, as well as the recess at the end of the church that is the large 13th century painting "Mother of God". On the facing wall is the famous "Last Judgment" that dates back to slightly earlier. San Francesco del Deserto is an island in the lagoon where you can find peace and quietness. It is said that the saint of Assisi came there, following the songs of birds. 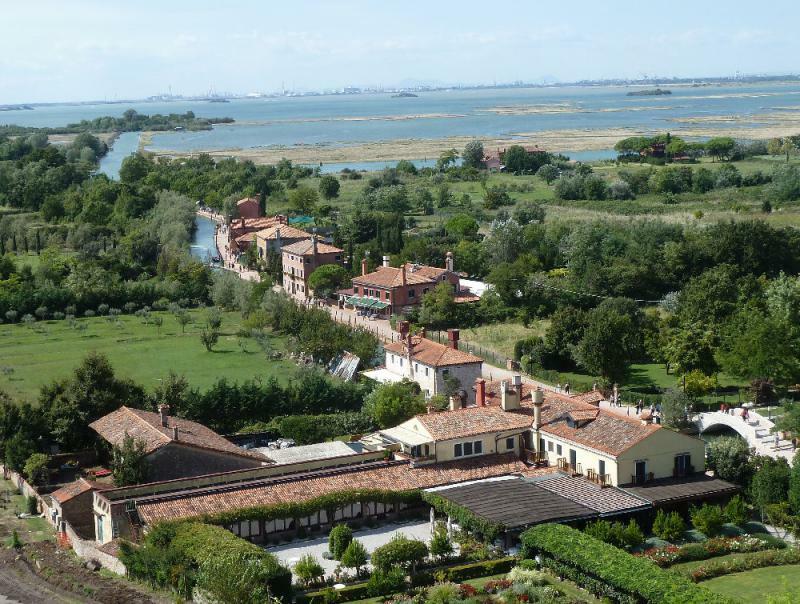 Today the island is inhabited by 5 monks, who accompany visitors through the convent, the cloisters and its garden overlooking the lagoon. However, it is not easy to reach the island, since there are no public transports and you have to book your tour in advance. Therefore you need to use private means of transports to get there. 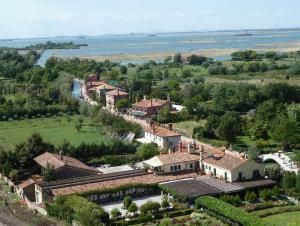 The island of Sant'Erasmo has always been considered like the garden of Venice. The whole island is cultivated and produces fruits and vegetables that are sold every morning on the Rialto market. Sant'Erasmo is not only the garden of Venice but also a very interesting island, not only for its landscape with its cultivated fields and its beach, but also for its culture, as evidenced by the presence of the imposing Maximilian tower on the eastern side of the island, a sign of its military past. 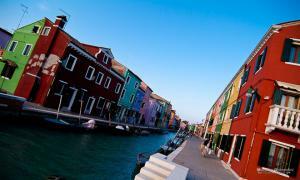 The islands of Murano, Burano and Torcello are among the best known and most popular tours. This is the reason why we suggest that you also visit the countless smaller islands to understand the natural environment in which Venice is inserted. The undisputed beauty of this landscape heritage has earned the city the inclusion in the UNESCO list of World Heritage Sites. Each island is unique because of its history, traditions and landscape and each island deserves to be visited. Other islands to remember are: San Clemente, San Lazzaro degli Armeni, the island of San Giorgio Maggiore in front of Piazza San Marco, San Servolo, and many more! a half-day tour of Murano, Burano and Torcello. Availability is guaranteed all year round with 4 daily departures. This classic circuit is recommended for those who are short on time and want to see the essential. 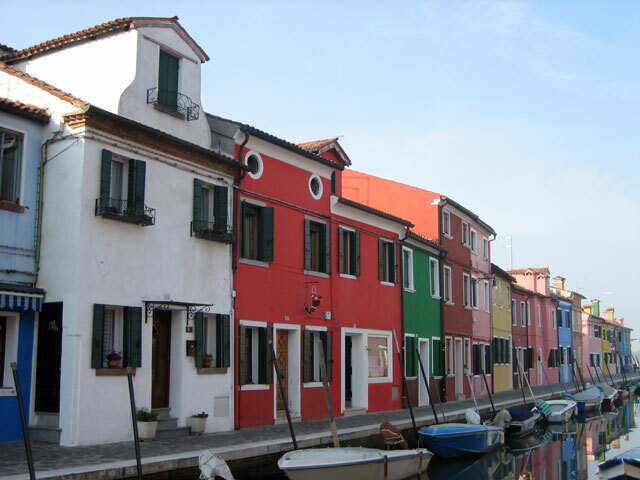 the other murano burano torcello tour that we propose with departure from San Marco is suitable for those who have more time and want to see everything. It is available from April to October. The presence of a guide on board, who will explain the history of the city of the Doges and the lagoon of Venice, is certainly worth it! Visiting St. Francesco del Deserto is a really interesting option. A traditional boat (bragozzo) will take you to the island for a guided tour held by the friars who live on the island. Venice is one of the most unique cities thanks to its lagoon. The history of the Serenissima begins on its islands. To retrace the beginning of the history of Venice between nature and archaeology, Vivovenetia offers a boat tour to discover the origins of Venice with departure from Treporti and Altino. For those coming from the coast we offer a bus transfer from Lido di Jesolo. For those who come from the Veneto beaches such as Jesolo, Caorle, or Cavallino, Vivovenetia organizes a boat tour departing from Punta Sabbioni to visit the most beautiful islands of the Venetian lagoon and enjoy the marine environment that Venice can offer. Speaking of novelties and unusual activities, that only here you can only do here, do not miss the Vivovenetia course of Venetian rowing, that you can do alone or with someone. During the lessons you will get onboard of a typical Venetian boat and you will have the pleasure to use an oar like a real gondolier! Visit the Vivovenetia portal to choose the boat trip that best suits your tastes and interests!